Tyson is a professional photographer, decidedly non professional musician, engineering tinkerer and recreational blogger. 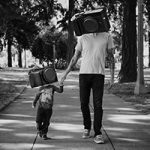 His photography work has been featured in various interior design and fashion magazines, but he still prefers to take pictures of his family while relentlessly featuring them on his photo review and tutorial blog. 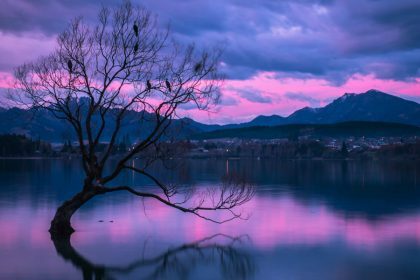 Creator of hand built camera strap company, Nauti Straps, he enjoys creating for and interacting with the greater photography community through his blog and will probably make you a custom designed camera strap if you ask him. Choice is good, and unless it is an important, multiple choice test, the more choices, the better I feel. In this constantly growing camera system, we are continuing to get quality choices in the lens game. 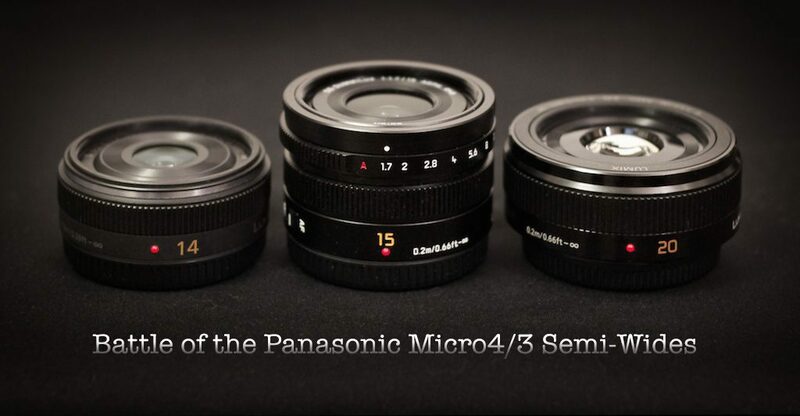 From semi-wide through standard focal lengths, the micro 4/3 system boasts quite a few options and those options are increasing. 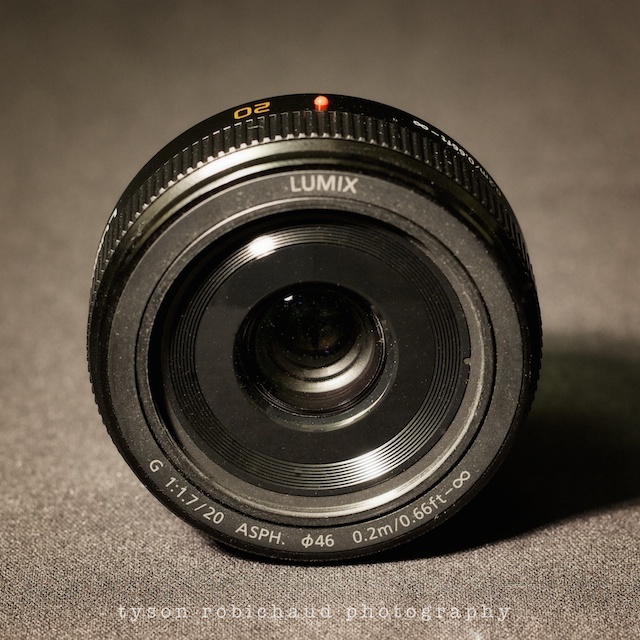 So, with the recent addition of the new Panasonic Leica Summilux 15mm f/1.7 lens, it begs the question, why? 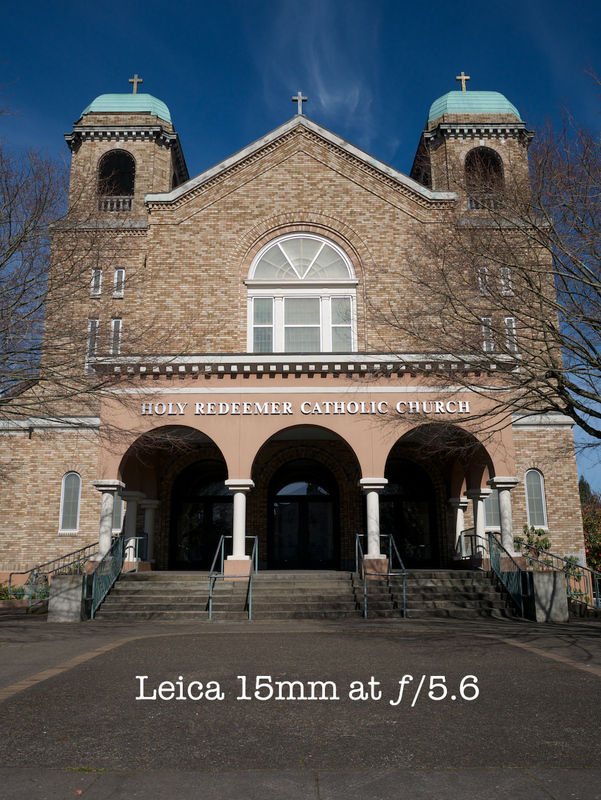 With quite a few other comparable focal lengths in the lineup, why this lens? Panasonic has already provided two, pretty comparable, adequately performing focal lengths in this space. Come on in for a comparison between these three lenses to see which might be most deserving of your adoration and hard earned money. Like I said earlier, choices, and good ones at that. Each of the above lenses does something, or offers value that the others do not, and in my opinion, there are no wrong choices, but merely a set of personal criteria that can be addressed to choose one or more of these to suit an individuals style and budget. Having owned and thoroughly enjoyed both of the Lumix Pancake lenses for the last 5+ years in some iteration, I wanted to see if I could replace both of them by buying the new Leica 15mm lens. This is not to say that one could not have two or all three of these lenses and find uses for all of them, but for me, I wanted to see if I could satisfy my semi-wide needs with one. I found the 14mm and 20mm to be pretty complimentary. Personally I’d default to the 20mm 90% of the time because I liked it better, and found the larger maximum aperture to suit my needs. The 14mm would come into play only when I wanted to get as small as possible, and I do feel it is a great mate to the GM1 making it quite literally pocketable. 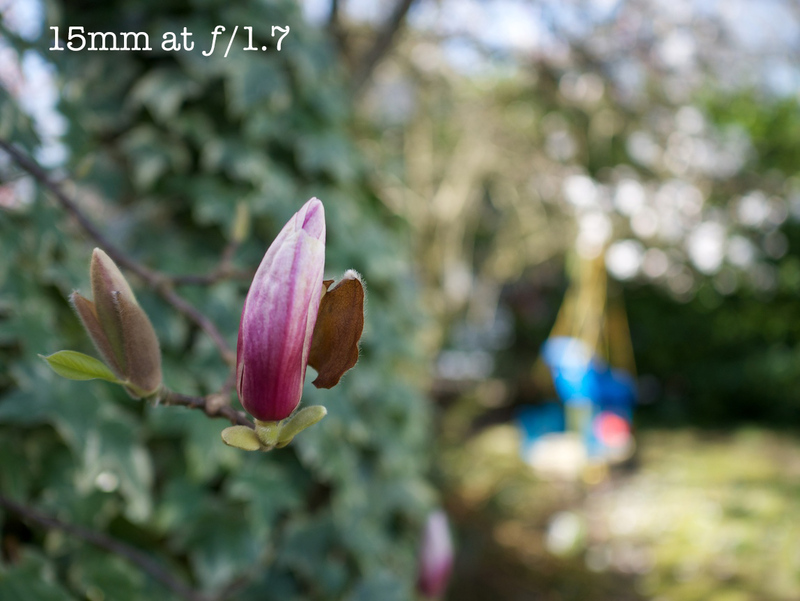 With the addition of the 15mm, the 14mm focal length is arguably surplus, and seeing that I also have and enjoy the Pana-Leica 25mm f/1.4 lens, the space is becoming a bit more crowded for me. Before diving into image quality, or angle of view comparisons, let’s discuss the differences on paper. 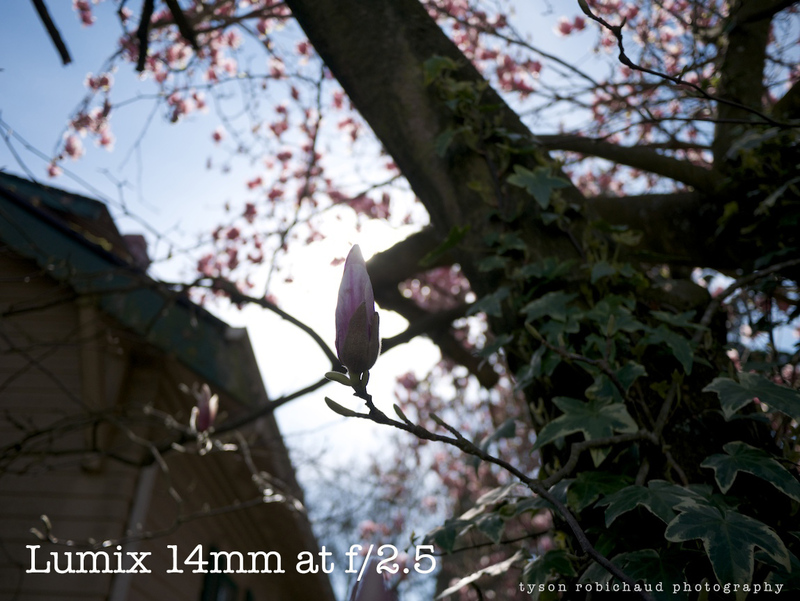 The 14mm f/2.5 is the slowest, widest, smallest, lightest and cheapest of the three. 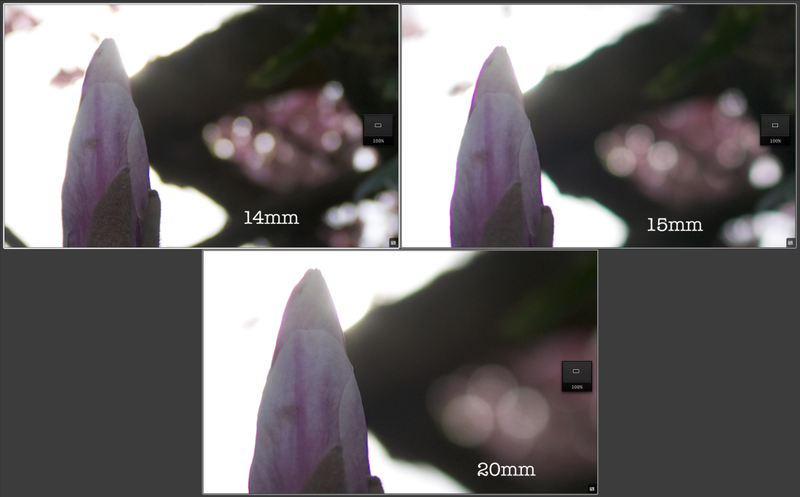 It auto focuses faster than the 20, about equally as fast as the 15mm in my experience. 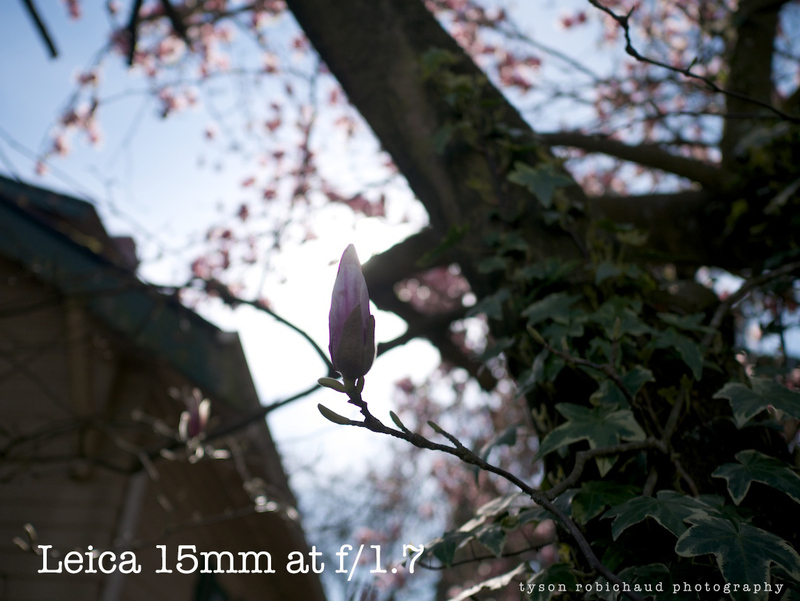 The 15mm f/1.7 is by far the most solidly built, but physically longest in measurement from the camera body making the overall package larger. 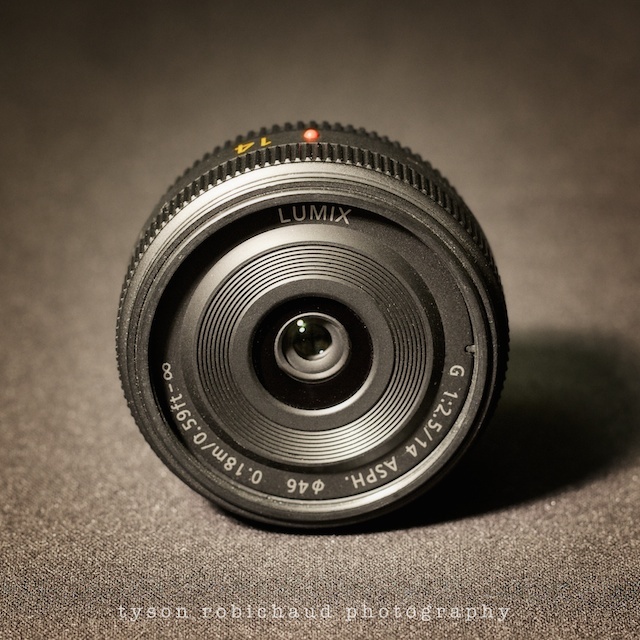 It is as fast as the 20mm, but incorporates a physical aperture ring (only compatible with Panasonic Lumix camera bodies). It has about the same physical diameter as the 14mm making it a much better mate to a small body like the GM or EPM series. It is the most expensive of the three, carrying the Leica branding. 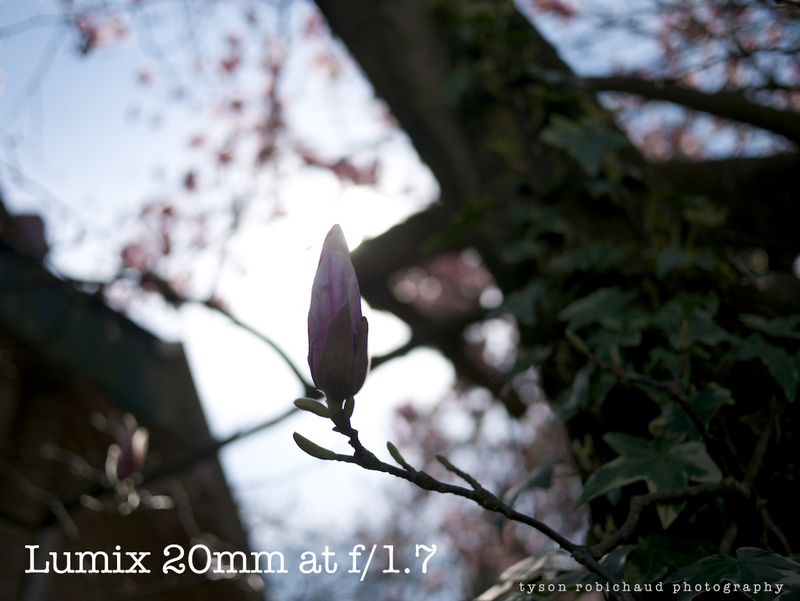 The 20mm f/1.7 (I or II) is one of the original gems in the micro 4/3 system. 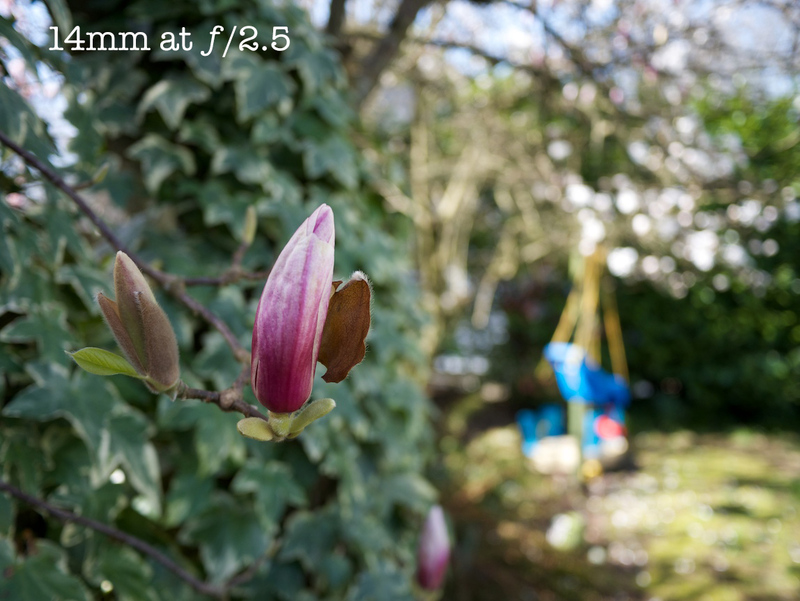 It is the slowest auto focuser of the bunch, but not by a huge margin (I’ve spoken about how I think it’s AF speed has been grossly blow out of proportion in the past, you can see a post and video HERE if interested). It provides the narrowest angle of view due to its longer focal length which also translates to the shallowest DOF capabilities of the three. All shots comparing these lenses in the article are captured as Panasonic RAW files (.RW2), converted via the standard profile in Aperture 3.5.1 and are shot as listed where settings are applicable for the purpose. 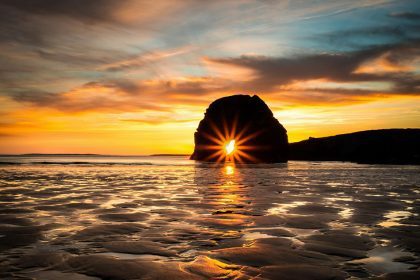 For space saving and web viewing speed purposes, these files are converted to JPEG at the time of export, and in cases, exported as non full sized files. Where necessary, I’ve provided 100% crops to be able to pixel peep and see the differences. Because they are captured as RAW files, they are not corrected, nor compressed the way that a JPEG file would be in camera. Just want to get that out of the way. Okay, let’s get down to it. 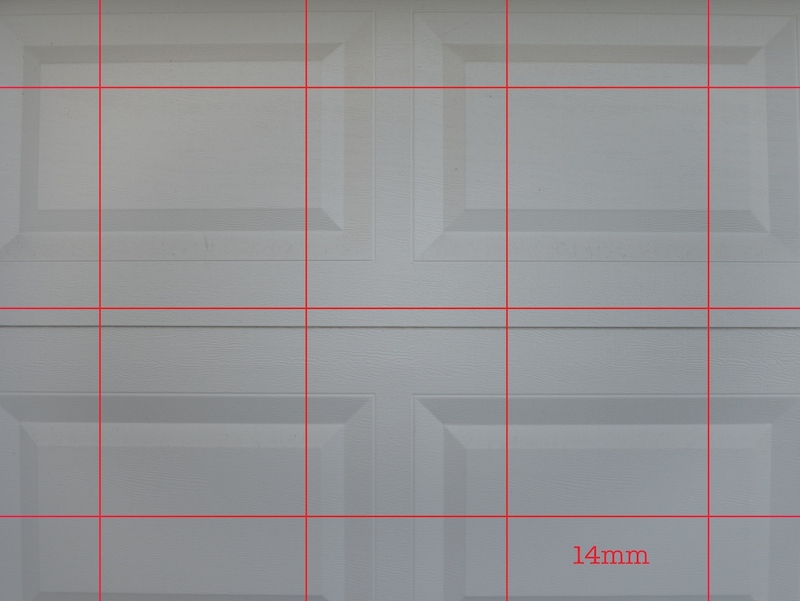 First, a simple comparison of the field of view differences between what 14mm, 15mm and 20mm look like on the micro 4/3 system. 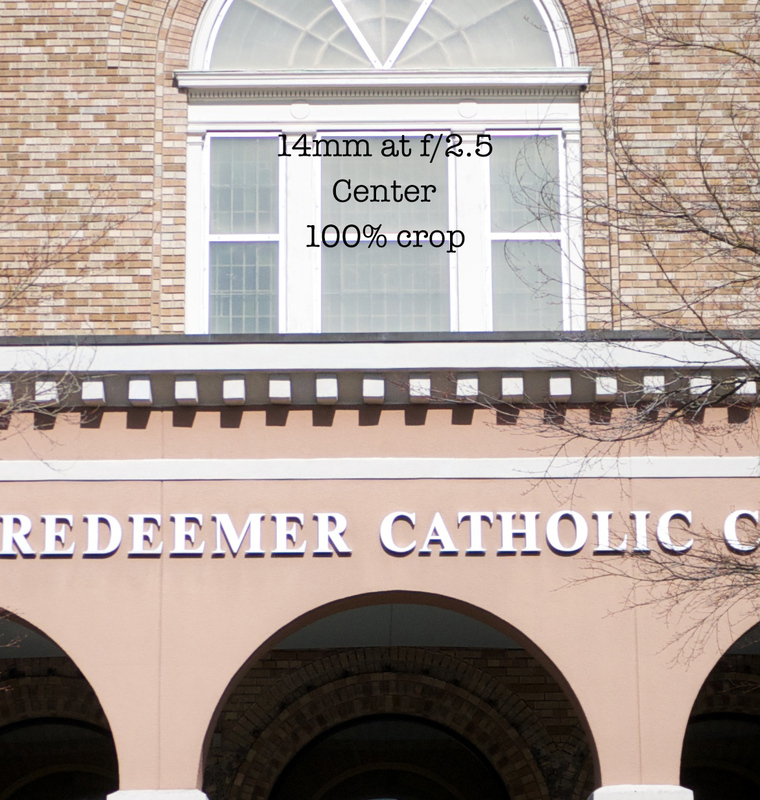 As you can see, the 1mm (2mm effectively via the crop) provides very little difference between the 14mm and 15mm lenses. 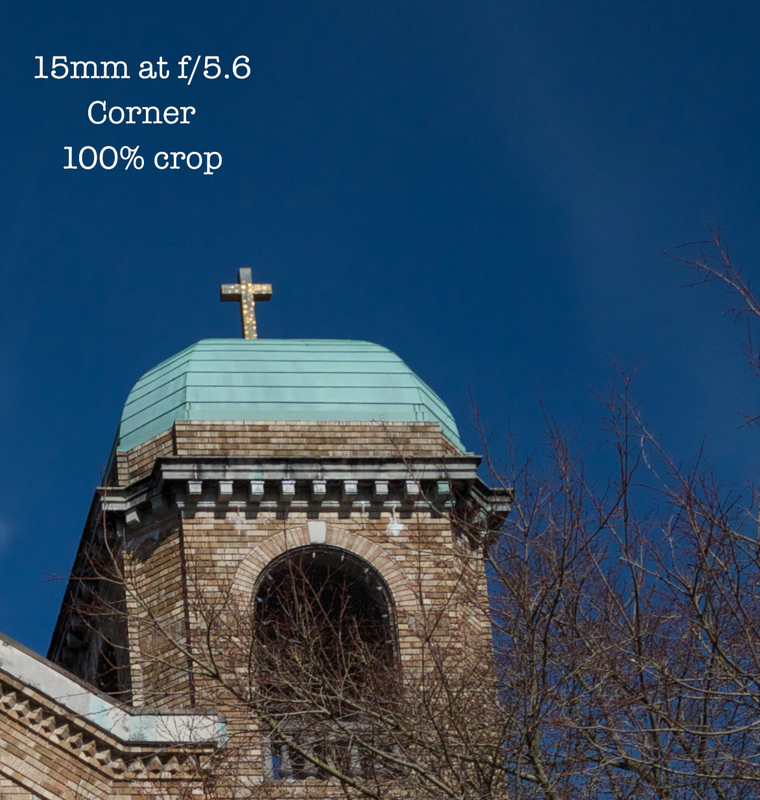 The 20mm field of view however does crop into the scene pretty substantially compared to the 14mm or 15mm field of view. Alright, let’s have an objective look at the same scene shot with all three lenses wide open as well as stopped down to arguably the sharpest aperture for all three being f/5.6. Have a look and let me know what you think. 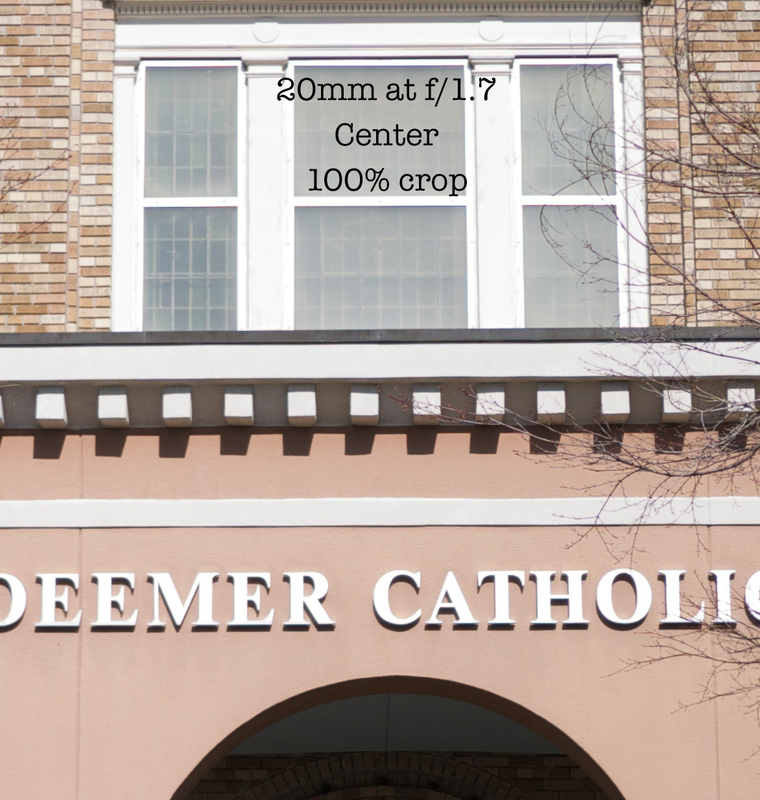 Well, to my eye, having been looking at these crops and even magnifying it to 200%, there is little difference in the center, either wide open or stopped down. The 14mm does show a bit more CA wide open in this particular shot (more later, down below in the CA test), but that disappears when stopped down. The 15mm has better contrast and through that appears sharper, albeit very slightly. 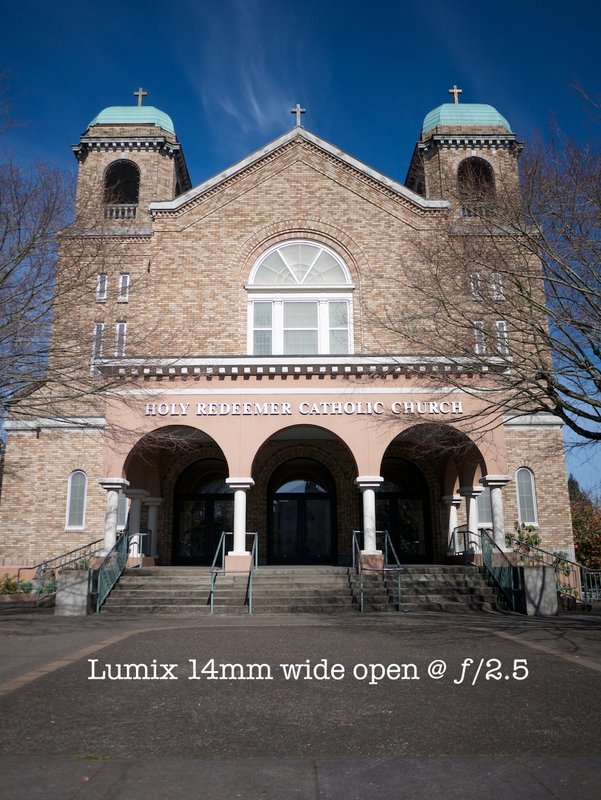 In the corners, the 15mm pulls away from the 14mm pretty easily both wide open at while not quite as noticeably, at f/5.6 too. 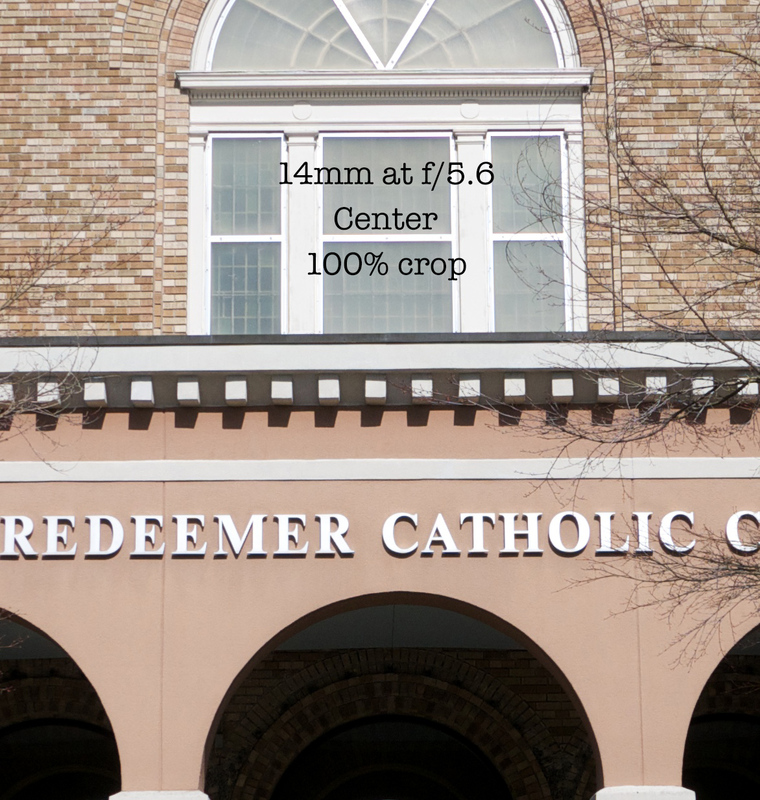 The 20mm fares better than the 14mm in the corners as well, looking comparable to the 15mm to my eye. How about bokeh? The 14mm has the closest focusing distance achievable between the three at .59 feet (7″) while both the 15mm and 20mm can only focus as close as .66 feet (8″). To see the shots from the same location, I’m going to ignore the near inch in minimum, close focusing distance difference that the 14mm provides, and have a set up where all three are shot from an identical location via a tripod from 8″ away, to see what we can do to throw the background out of focus with these lenses. Being moderate wide angle focal lengths, it is always going to be more difficult to produce a shallower depth of field, but I’ve found that the f/1.7 optics offer enough speed by way of a large enough aperture to provide the ability to separate subjects from background elements in many shooting scenarios. Here are some simple results to show the differences between the three. All lenses shot wide open. Click any to see larger. This is what over a stop difference will do. 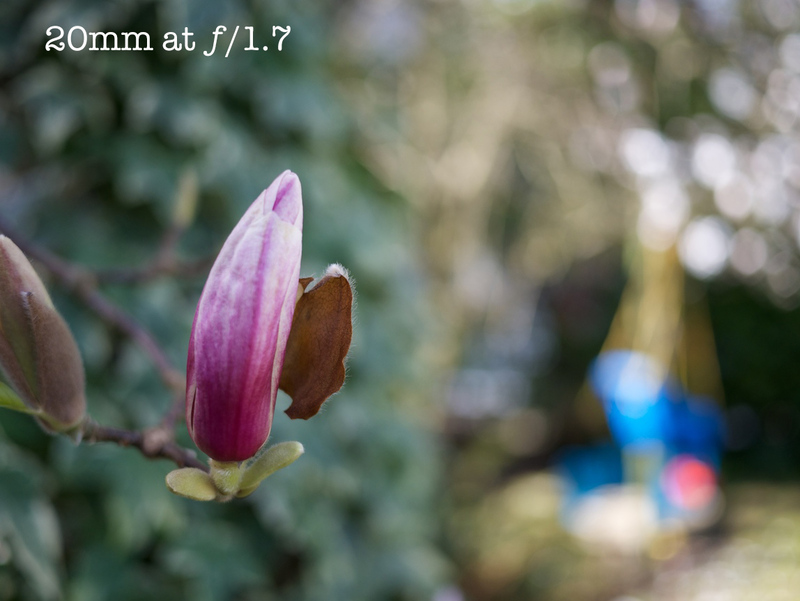 While wide angle lenses aren’t traditionally bokeh monsters, both the 15mm and 20mm do well for themselves at f/1.7 I feel, and the obvious differences in focal length certainly come into play when talking about depth of field here as well. 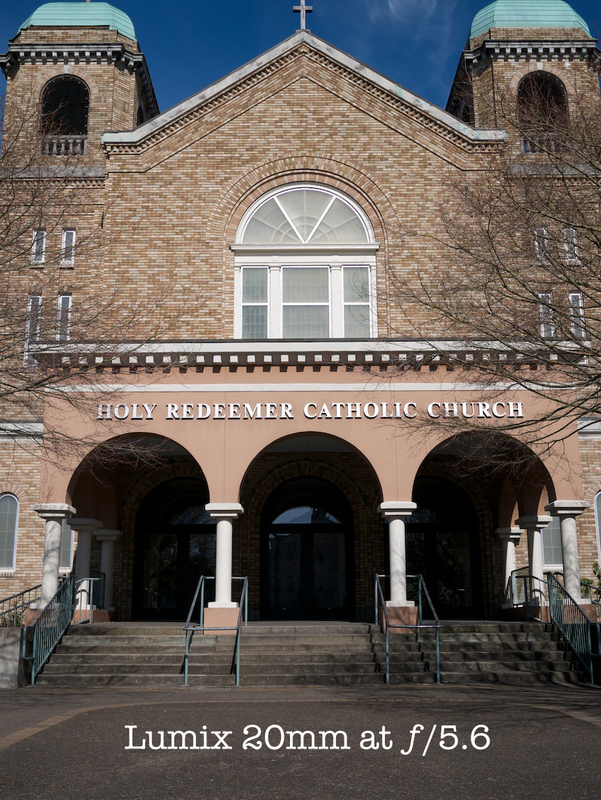 In the scene of the church above, I found the 14mm to exhibit a poorer control of CA, specifically wide open in the center when looking at the edges between the white letters and dark edges of the hard shadows. Below I shot directly into the sun to see what a subject looks like when the exposure disparity is more extreme by way of being backlit by an extremely imbalanced light source. Oddly, and to my dismay, the Leica 15mm was by far the worst of the three in regard to CA with pretty bad purple fringing along the bloom with cyan fringing more apparent along the boughs of the tree in the out of focus area. These were all shot in RAW so no in camera correction was applied, and while it is pretty easy to deal with and correct for with software, I’d by lying if I said I wasn’t a little surprised. All three do well enough to maintain contrast and saturation when shooting directly into a bright light source such as this, performing well regarding flare to my eye. From this, it is evident that the 15 and 20 didn’t quite focus at the same exact spot as the 14 even though the point of focus was placed on the same exact point on the bloom itself, showing me, in this singular test anyway, that the 14 seemed to handle this extreme backlit situation better than the other two. Having been shooting with all three of these lenses pretty extensively, I can’t say that I’ve ever felt that any of them have had consistent issues with CA, and certainly not noticeably worse than any of the system lenses I shoot with. I think that the newer 20mm v.2 does a much better job than the original does, which I feel I should mention and saw pretty definitively in the test between those two. 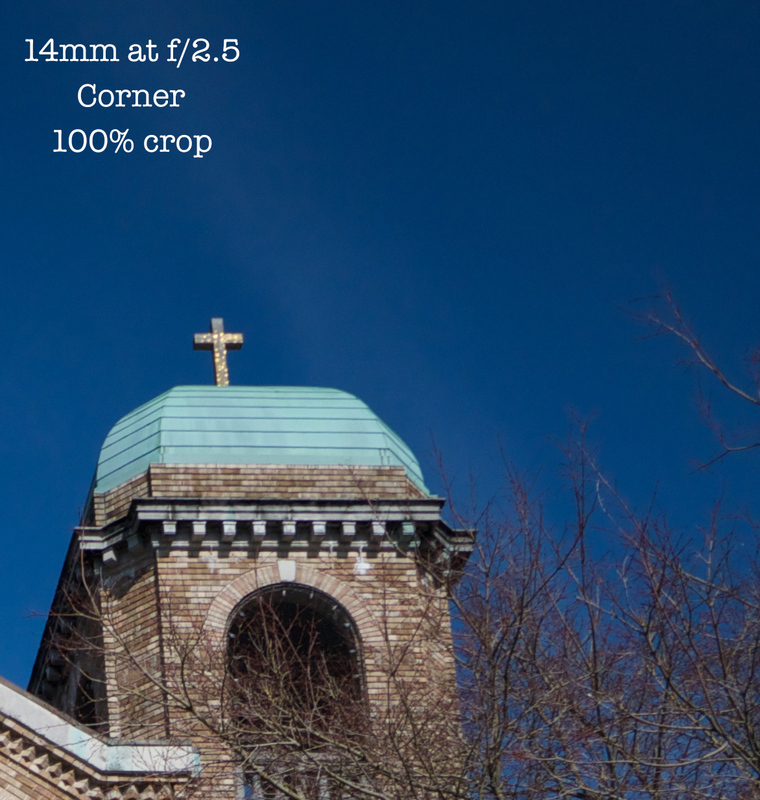 With the 15mm, I’ll just need to be a bit more aware with extreme contrast and backlighting I guess. Good to know. 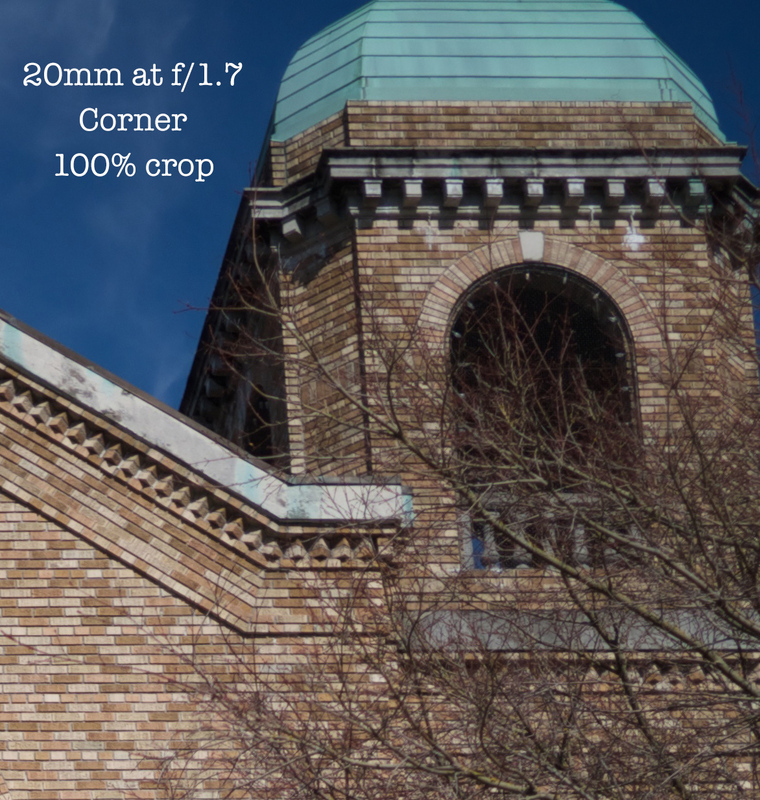 Wide angle lenses will have some level of visible distortion if you shooting something with straight lines and have the camera leveled and squared. That is just an optical reality with angles of view as wide as we’re talking here. There are definitely lenses that do better to optically correct for this type of distortion, but I’ve never seen a lens in this range that doesn’t have some perceptible level of it. Here are shots from each lens from a fixed, leveled and squared location to compare distortion between the three. 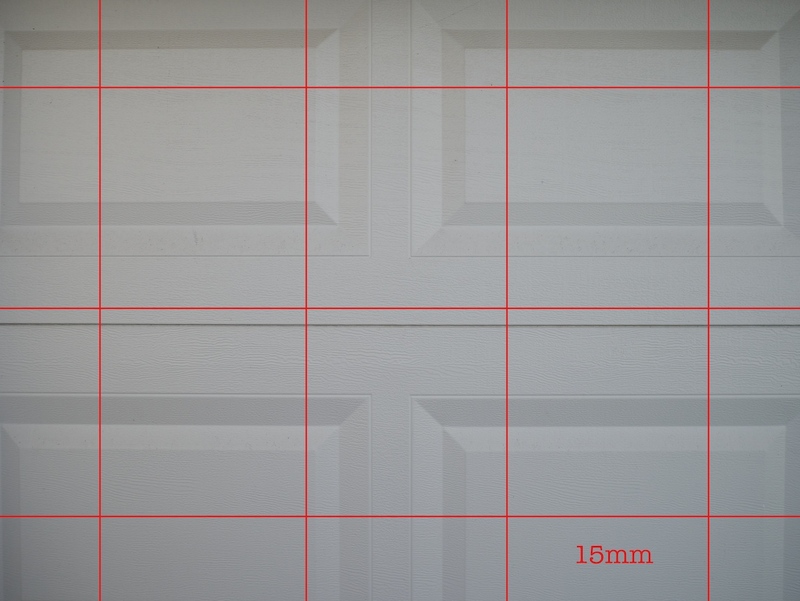 The surface that I shot was also checked via a 4′ flat edged level to make sure it was on a flat plane, which it was. I’ve overlaid a grid to visually aid us here. Again, shot in RAW, and converted as noted above. Both the 14 and 15mm show noticeable barrel distortion, evident on the edges of the frame. 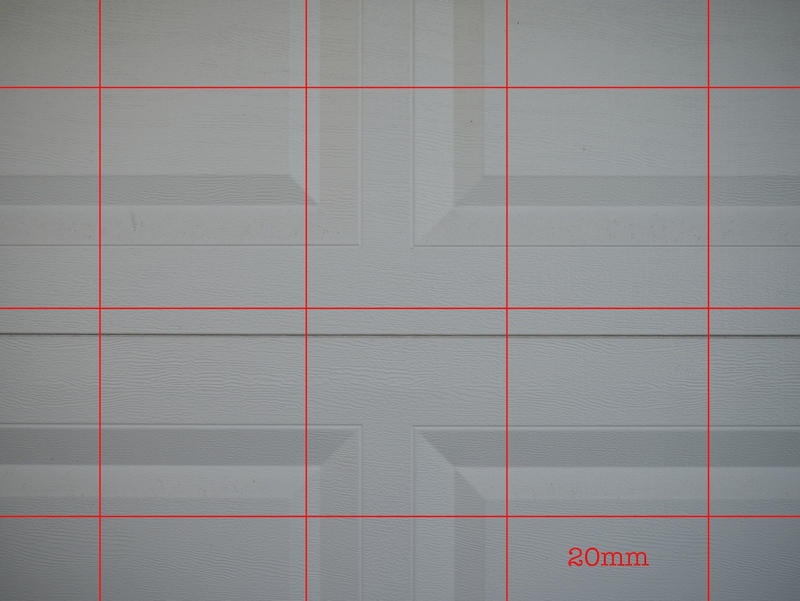 The 20 seems to perform pretty well, keeping both the vertical and horizontal lines pretty square, at least to my eye. I’m not surprised, nor disappointed by any of these results. While noticeable in the case of the 14mm and to a slightly lesser extent, the 15mm, the distortion is subtle and really only evident on the edges of the frame. No pesky mustache distortion or anything. For wide angle lenses that I shoot with, this is certainly within the levels of what I’d consider “normal” so to speak, and even better controlled than some 28mm – 35mm equivalent options I use elsewhere. Gear is, and should be secondary to creativity, but it is also very useful to understand which tools are capable of performing certain tasks, and can help further enable a creative individual with the ability to more accurately achieve their vision. 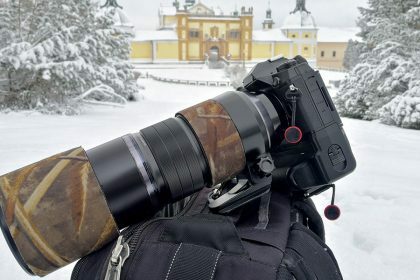 Any of these lenses is fully capable of partnering with any of the current m4/3 sensors for a beautiful image file, but all offer differences to each other. In my opinion, here are the pros and cons for each. It has the best contrast, saturation and rendering of the three, dare I say soul? 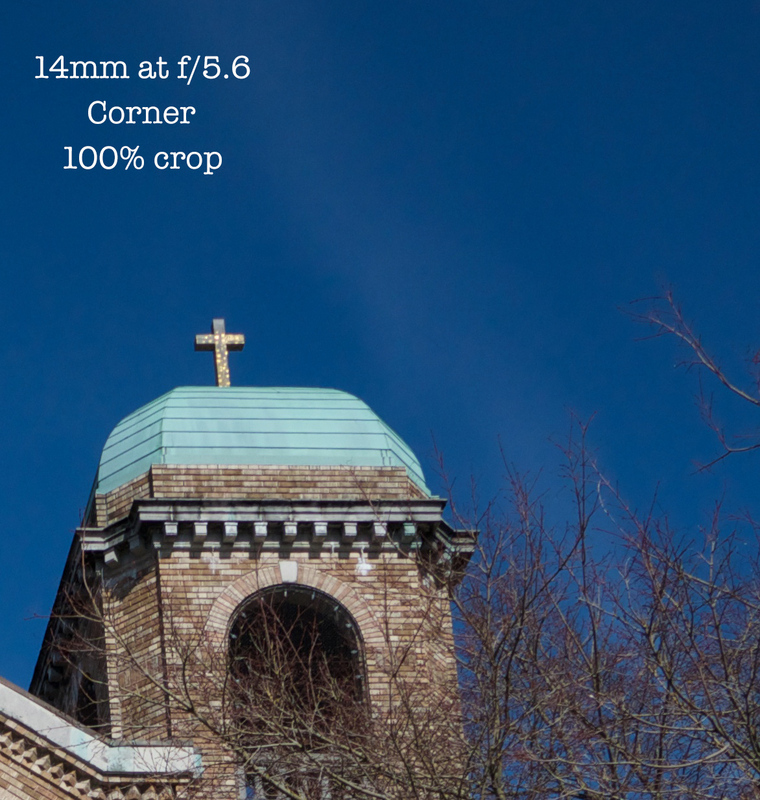 If shooting on a GM or EPM body, the lens is a little taller disallowing the camera to sit flat when on a flat surface. Originally, my question to myself here was, can I replace two lenses with one? The answer, again for myself, is yes, kind of. 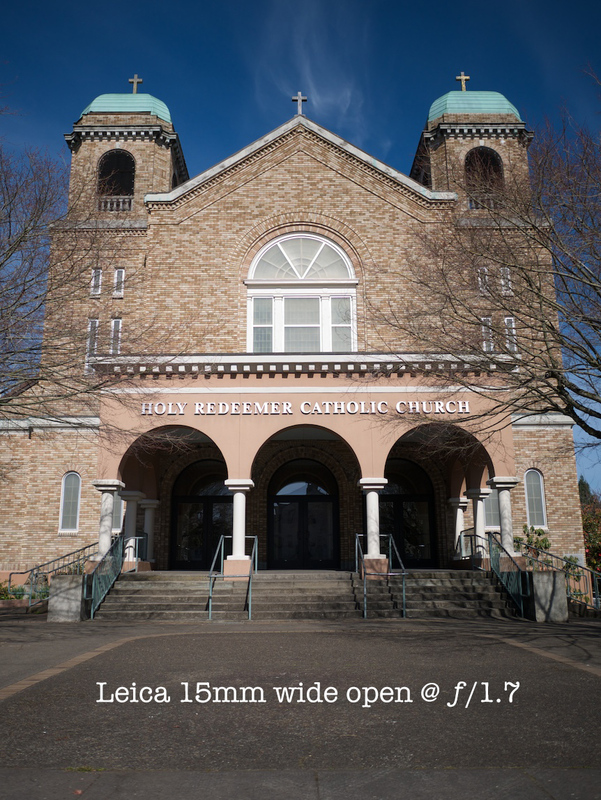 If I did not also have the Leica 25mm f/1.4 lens, I could see holding onto the 20mm because it offers quite a different angle of view. The 15mm lens offers me the upside (less the overall size minimization) while adding a bit of that Leica designed magic in the image rendering compared to the 14mm and 20mm pancakes. 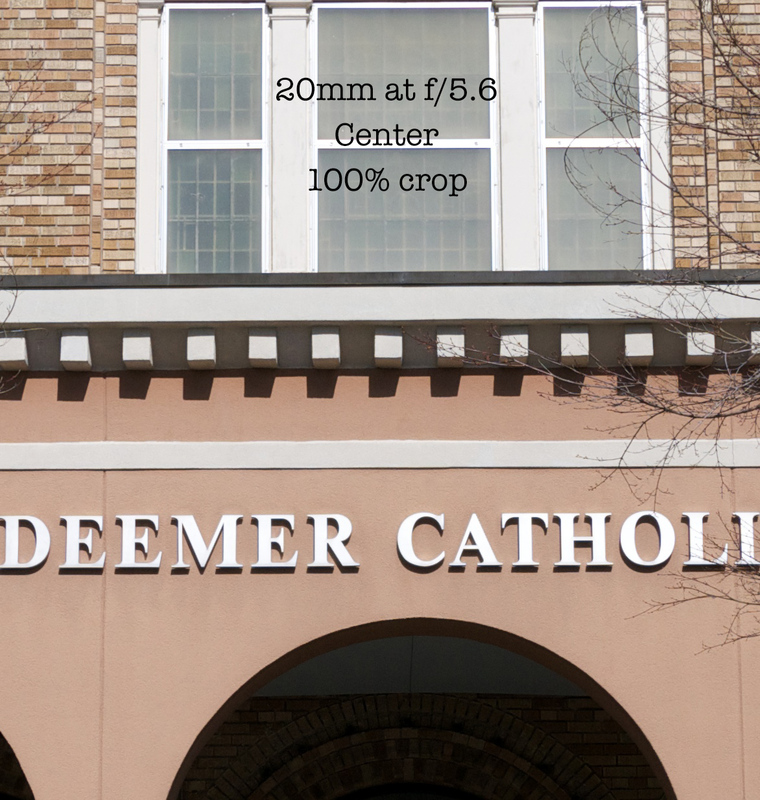 While in many cases, that magical punch is minimal as is the situation in the above examples, but when looking at 100% crops, you can see how micro contrast adds a dimensionality compared to a lens that lacks the same characteristics. Perhaps not immediately noticeable in cases, but in my experience, this is what you get when you pay the premium for the Leica branded lenses. I love and use various Olympus lenses too, but I will say that the Oly lenses have a cooler, slightly flatter profile to them, more similar to the 14mm and 20mm. I don’t say this to mean I see the cooler, flatter profiles as bad, in fact it can be beneficial in cases because you can always add punch by way of micro contrast or saturation, as it can be more difficult to remove it, it is just different. More often than not, I personally prefer the punchier, contrasty images that the Leica branded lenses produce straight out of the camera. 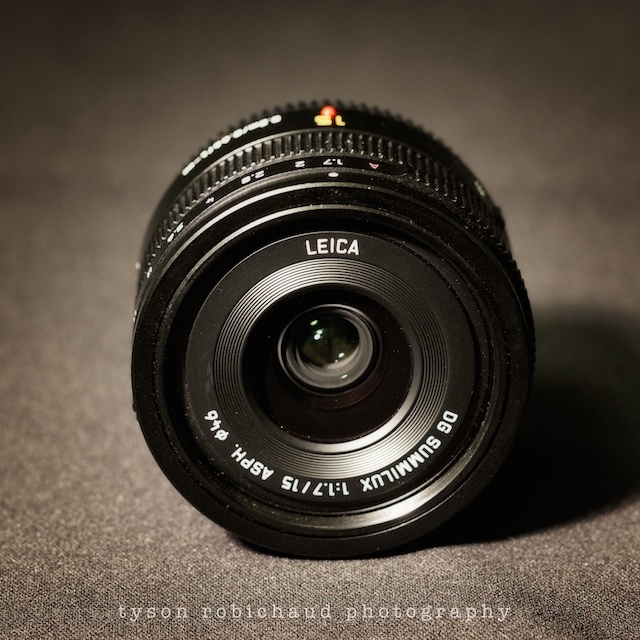 I think the 15mm is more a replacement for a lens like the 14mm or 17mm’s of the system, but seeing as I also have the Pana-Leica 25mm lens, I can more easily justify passing the 20mm along as well. I’ve already sold and reacquired my older, original 20mm, which I then sold again after getting the newer version 2, so I do have some type of connection to that lens as I feel it has been one of the best balances of size, speed and quality for the system since it’s original release all those years ago. That said, I think this new 15mm, coupled with my ownership of that 25mm lens, will not allow the 20mm to get the exercise it deserves, but that isn’t to say that we couldn’t also be having a conversation that for a more budget minded shooter, the 20mm could be an ample replacement for both the PL 15mm f/1.7 and PL 25mm f/1.4, so having to deal with these types of quandaries in a system is pretty awesome. I continue to appreciate what Olympus and Panasonic do to develop and grow this system. I have said from the get that I’ve felt it is the best balance of size reduction, sensor size and quality in the mirrorless world, and by far the most mature overall system in the mirrorless landscape. Not to say it is the best for everyone, nor the best for all scenarios but for me, I appreciate the choices (especially lens choices) we have with the micro 4/3 system.